Measuring only about 8.5in x 8.5in x 11in deep, this takes up very little space in you editing set-up, yet provides some very important monitoring abilities! 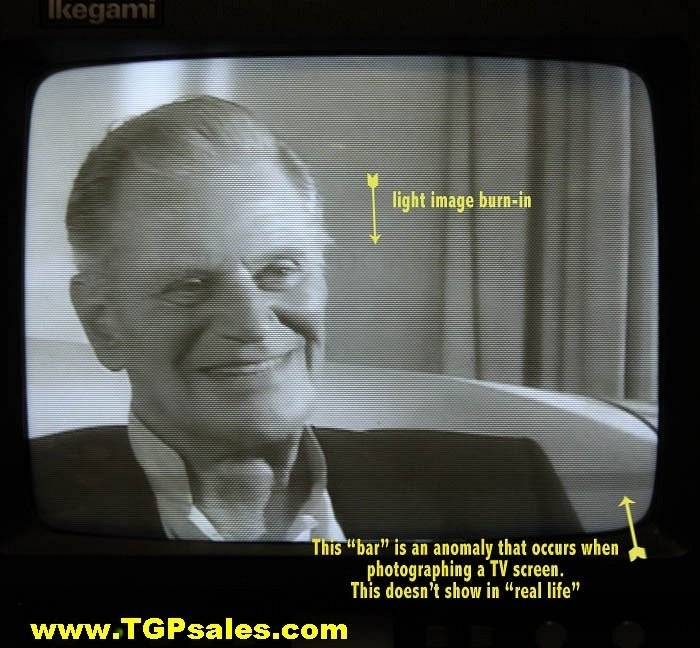 The advantage of owning this monitor is that it displays the video pulse-cross. 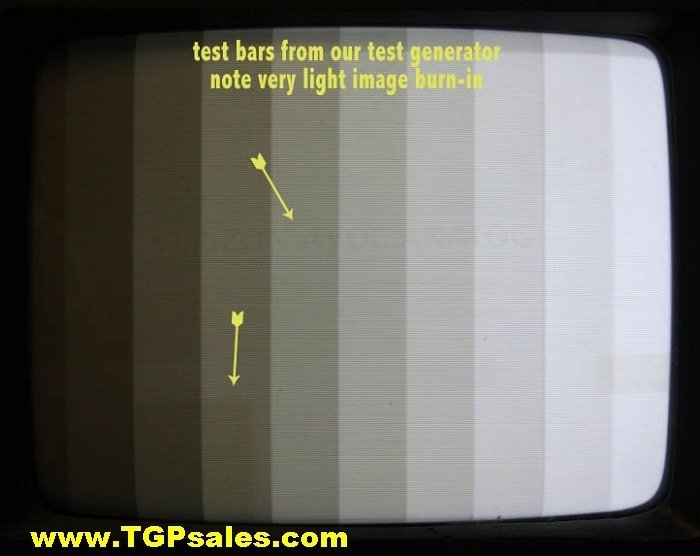 When you view the pulse-cross you can see a portion of the video image that's not seen on regular TV sets. 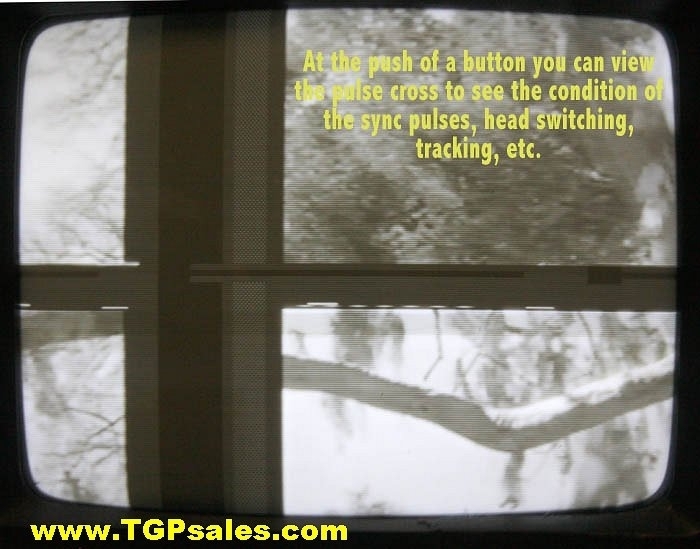 The pulse-cross is very helpful during VCR playback since it shows video head switching position; horizontal and vertical sync pulses; playback tape errors; skew and tracking adjustments; and improvements made by your time base corrector. 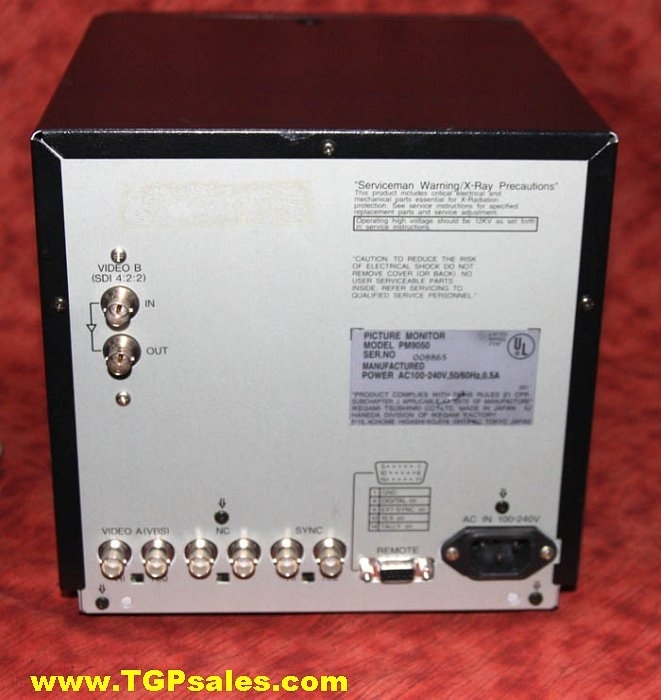 If you're transferring a lot of VHS tapes to digital, a pulse-cross monitor is an important piece of equipment to own! 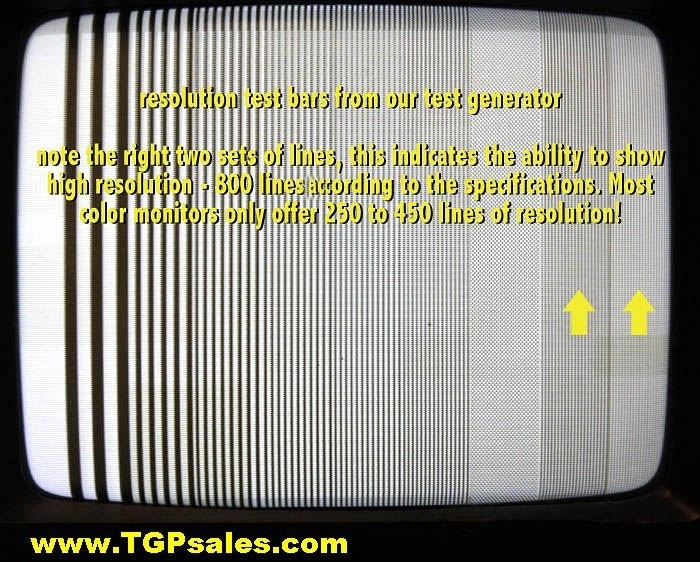 Note: You don't need a color monitor when viewing the pulse cross, you can see all the available parts of the pulse cross with this B/W high-resolution monitor. Condition: Cabinet is in good shape with the exception of some minor scratches/abrasions on the top. Lower right part of front plastic faceplate has been repaired & repainted. 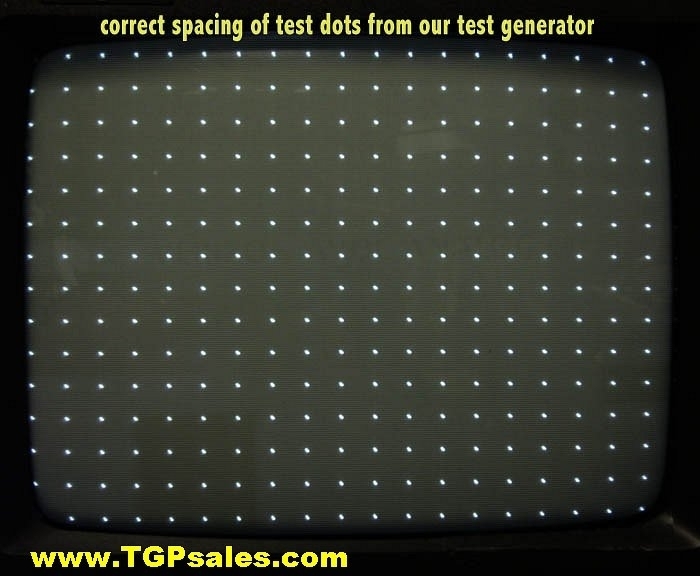 The monitor is in good working condition and has been fully tested (see photos) There's slight image burn-in on the picture tube, a "block" on lower left and some text in the center. 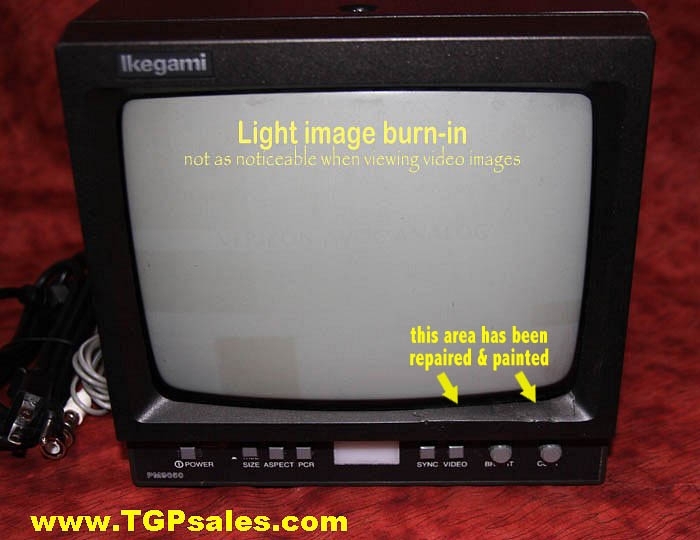 The burn-in is quite light and is hardly noticeable when active video is on the screen (see photos) Note: this is a black & white video monitor and does not have audio connections. Tip: if you're dubbing videotapes using s-video cables, you can connect this monitor to the RCA composite "out" of your capture device so you can monitor the pulse cross. 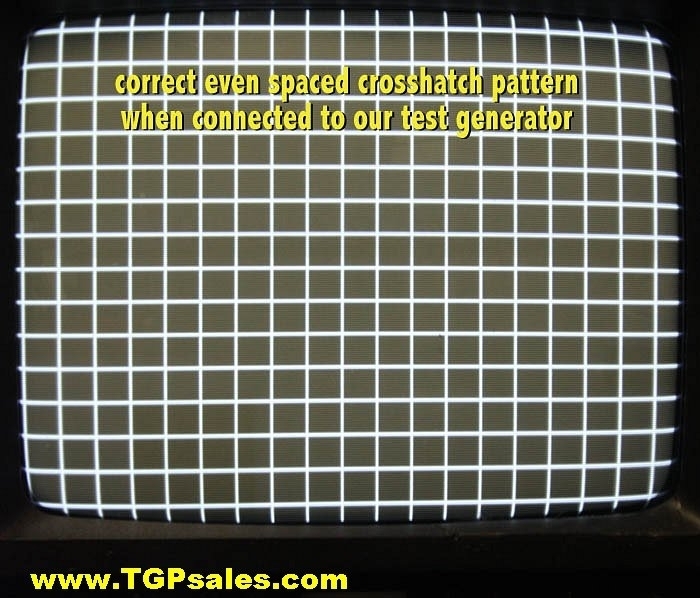 By viewing the pulse cross you can view tracking, head switching, and possible skew errors. 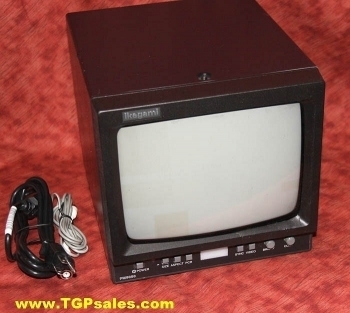 This monitor includes: original power cord; one BNC to RCA adapter, one RCA to RCA cable. No instruction book, however you can call our technician if you have operation/hookup questions.